Our independent business model ensures we have the autonomy and discretion to put you at the center of all investment strategies and business decisions. Just as we stand behind you to help you pursue your financial dreams, we have teams standing behind us and supporting our business. These firms also strengthen our relationship with you by providing the resources we need to better serve you. We think it’s important for you to know who these partners are and why we have chosen to work with them. 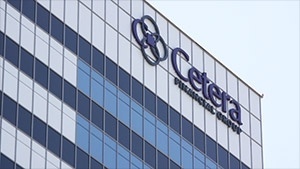 We are affiliated with Cetera Advisors, one of the premier broker-dealers in the industry. As our broker-dealer, they are responsible for executing trades on your behalf. Like all broker-dealers, they must undergo regular auditing, and are required to meet specific net capital requirements to ensure it can meet its obligations to investors like you. But their support for our relationship goes well beyond its function as trade executor. Our affiliation means that we are not held to a sales quota or tied to selling only proprietary products. We have the independence and freedom to recommend the financial solutions that best suit your needs, ensuring your objectives are what drive all decisions, while Cetera Advisors’ network of people and resources help us pursue your unique goals and vision for the future. Cetera Advisors is part of the family of independently managed firms of Cetera Financial Group (Cetera). For the past 30 years, Cetera’s family of companies has grown to manage over $110 billion in client assets, delivering award-winning* advisory products and solutions and sophisticated trading and technology platforms to us and other advisors across all 50 states. You can be confident that their tools, technology and support help make us more effective in our relationship with you. While a broker-dealer helps supervise and facilitate the trading that converts your cash into invested assets, those assets are actually held by a custodian. Cetera Advisors works with two custodians. Cetera Investment Services LLC custodies individual retirement accounts (IRAs). Pershing LLC custodies brokerage accounts, including the brokerage accounts within IRAs. Pershing is a subsidiary of the Bank of New York Mellon Corporation, which is the nation’s oldest continuously operating bank and one of the world’s leading providers of securities services. Cetera Investment Services is an affiliate of Cetera Advisors, providing brokerage and other services to its own clients in addition to providing IRA custodial services to Cetera Advisors’ clients. Both Pershing and Cetera Investment Services have to meet certain net capital requirements and are subject to regular audits, both internally and by independent firms, to ensure the appropriate handling, segregation and protection of investors’ assets. While the firms behind me play important roles in our day-to-day servicing of your needs, the most important relationship we have is undoubtedly with you. We work with these firms to make it easier for us to work for you. Anytime you would like more information about the above firms, please do not hesitate to ask. We want you to feel confident that you understand, to your satisfaction, how we work with and through these firms, why we have chosen to work with Cetera Advisors, and the absolute priority both Cetera Advisors and we place on our relationship with you.